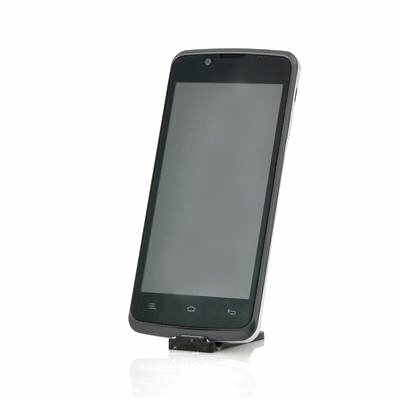 Successfully Added ZOPO ZP580 Dual Core Phone - 4.5 Inch 960x540 Capacitive Screen, MTK6572 1.3GHz CPU, 4GB ROM, 3G, Android 4.2 OS (Black) to your Shopping Cart. 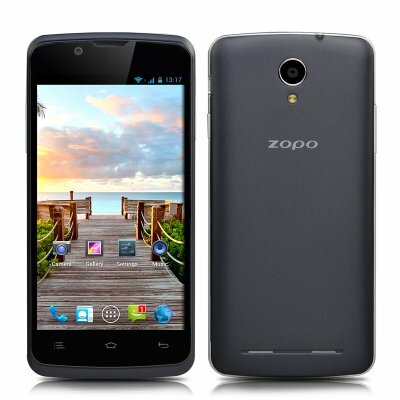 ZOPO ZP580 Dual Core Phone has a 4.5 Inch 960x540 Capacitive Screen, MTK6572 1.3GHz CPU, 4GB ROM, 3G and an Android 4.2 operating system is a real example of true quality and care. With a slim waist border design and a nice finish, the ZOPO ZP580 dual core Android phone is a real attraction. For outstanding video watching, the ZOPO ZP580 cell phone’s screen is 4.5 inches in size making it ideal to be used for carrying around plus with a resolution of 960x540 you can real admire or the magic of QHD. Download everything you want from the pre-installed Google Play store as there are thousands of apps to choose from. With the ZOPO ZP580 phone you can really integrate multi-platform social applications and share your moments via Facebook, Whatsapp, Twitter etc. Boasting a MTK6572 dual core processor, this phone can reach speeds of up to 1.3GHz and in return you will receive an outstanding performance where you can enjoy streaming, gaming and much more. The phone provides the user a 2 megapixel front camera and a 5 megapixel rear camera, which can both be expanded via interpolation. Manage all your numbers as this fantastic phone can support up to two separate SIM cards at one time including though that work on 2G GSM and 3G WCDMA so you have full control over everything. A massive 1700mAh battery provides plenty of usage time for you to talk, play games, listen to music and surf the web.